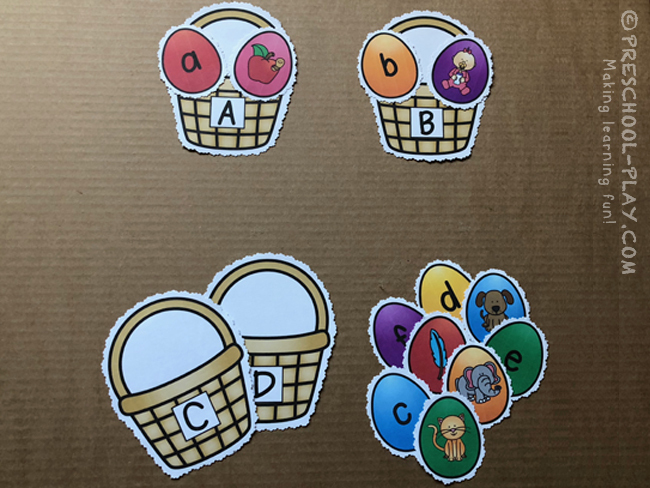 Print out the baskets and eggs on cardstock (laminate for heavy use). Student will identify the lowercase letters and the beginning letter sounds of each item. They will then place the eggs on the appropriate baskets. Print these cards out on cardstock (laminate for heavy use). Cut the cards into strips. 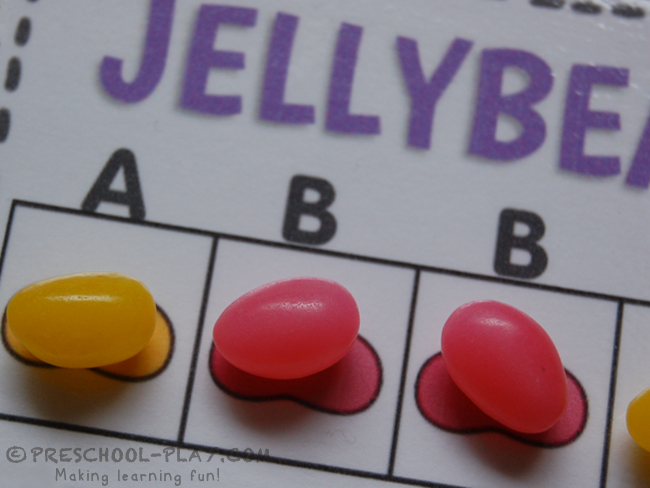 Provide young learners with a small amount of jellybeans. 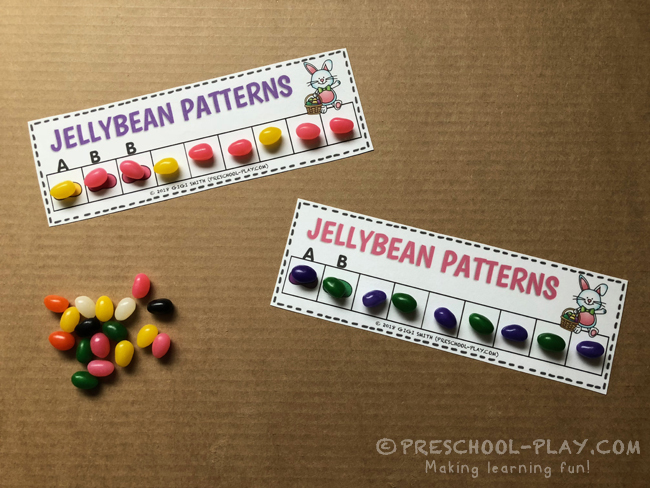 Work with children to match, extend, and describe the AB, AAB, ABB, and ABC patterns. Print these cards out on cardstock (laminate for heavy use). Provide mini erasers, jellybeans, pom poms, vase gems, or some other small manipulative for students to use. 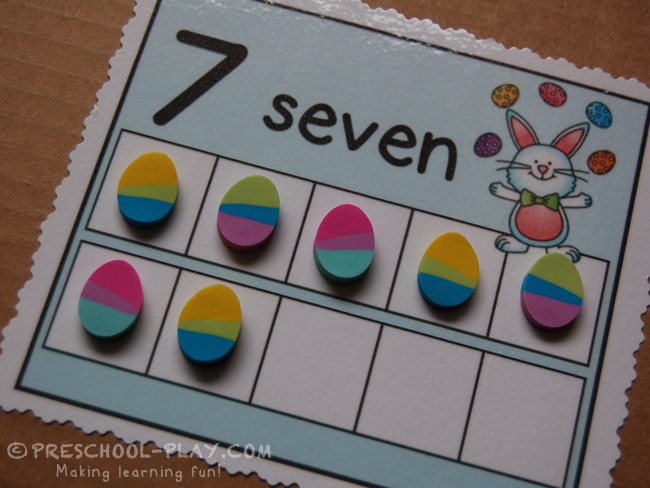 Young learners will place a numbered group of items on its corresponding card. As children pick up and place each item, encourage them to say its number name (one, two, etc.). 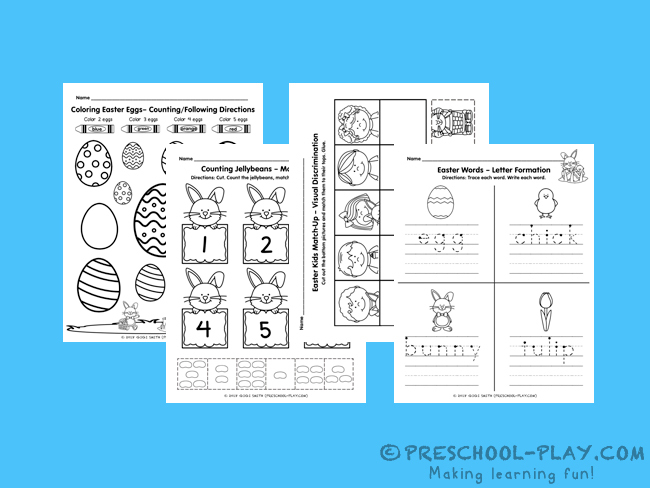 With these 14 worksheets, students will graph Easter eggs, measure bunnies, practice addition and letter formation, and so much more! 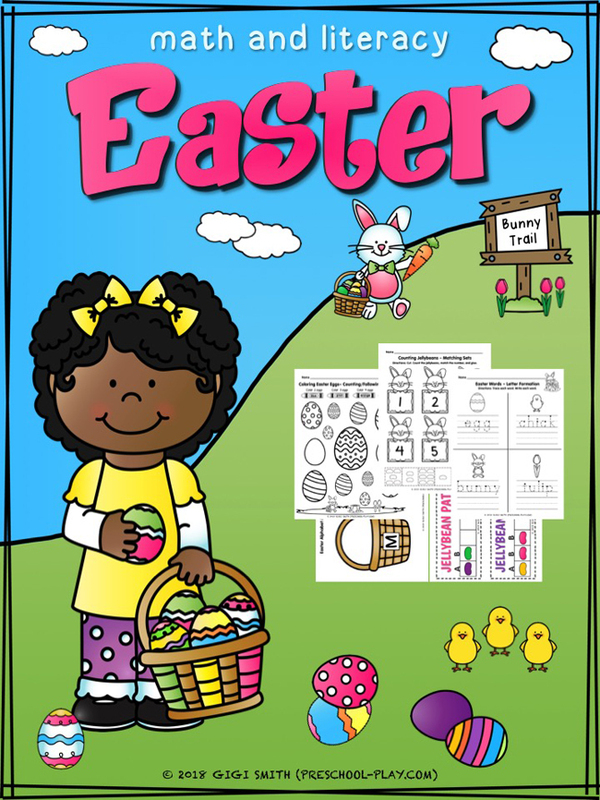 GET THIS EASTER MATH AND LITERACY ACTIVITIES PACK HERE. Print these out on cardstock (laminate for heavy use). 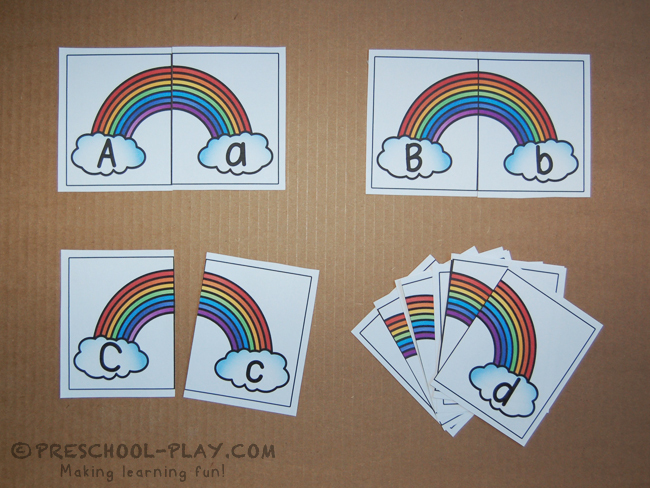 Cut the cards in half and have young learners match the upper and lowercase letters. Print these sheets out on cardstock (laminate for heavy use). 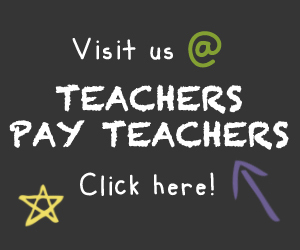 Provide mini erasers, pom poms, vase gems, or some other small manipulative for students to use as markers. 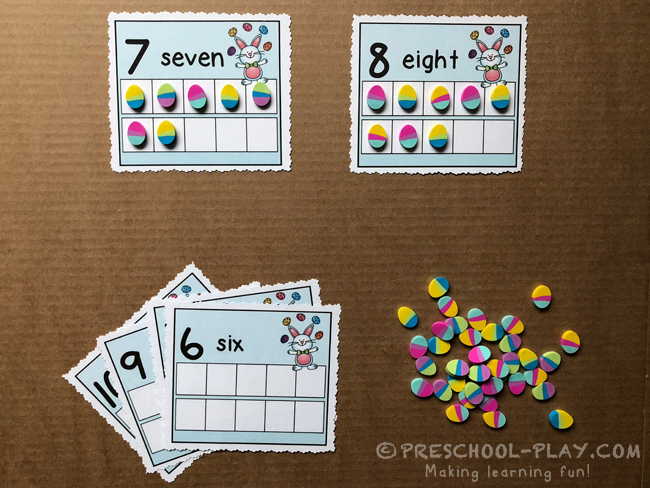 For individual use, have the child roll the die, count the dots (or recognize the “set” of dots), and find and cover the corresponding number on the sheet. Repeat until all of the numerals are covered. In small group, give each child a sheet and have them take turns rolling the die. The first person to cover all of their numbers wins. Trade cards and play again! 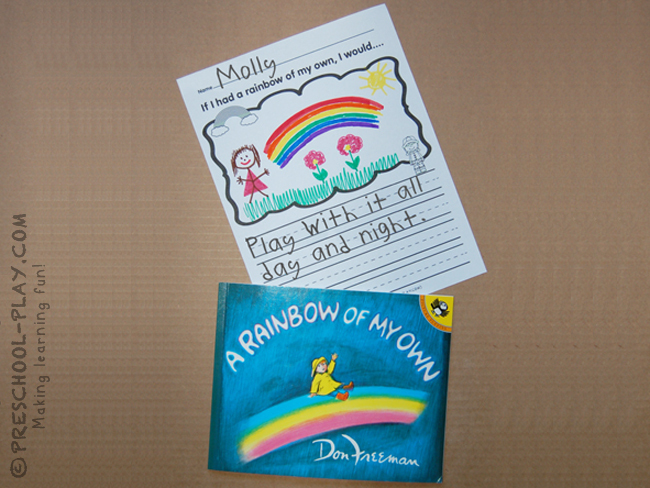 Read the story A Rainbow of My Own by Don Freeman. Ask students what they would do if they had a rainbow of their own. Children will dictate their responses to teachers and draw a picture. Older children may copy their responses onto their papers, while some may even be able to write some of their own words. Two prompts are offered – one boy and one girl. 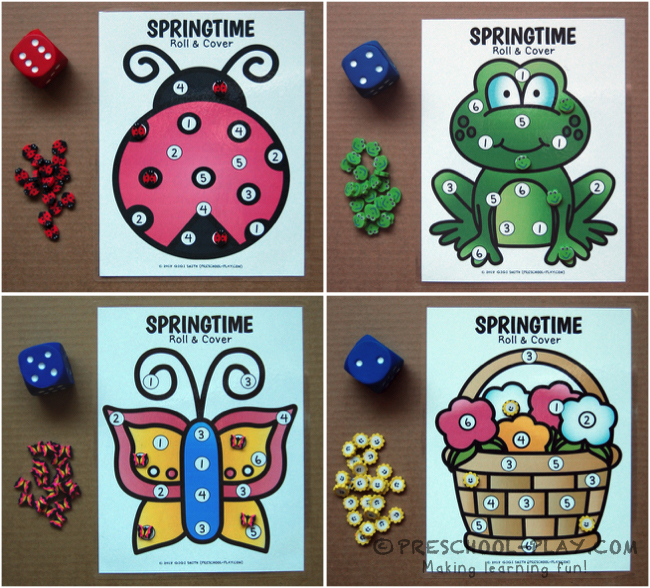 A My Spring Counting Book (1-10) is included in the worksheet section of this pack. Children will cut out the pages of the book. Teachers/adults should staple the pages together. 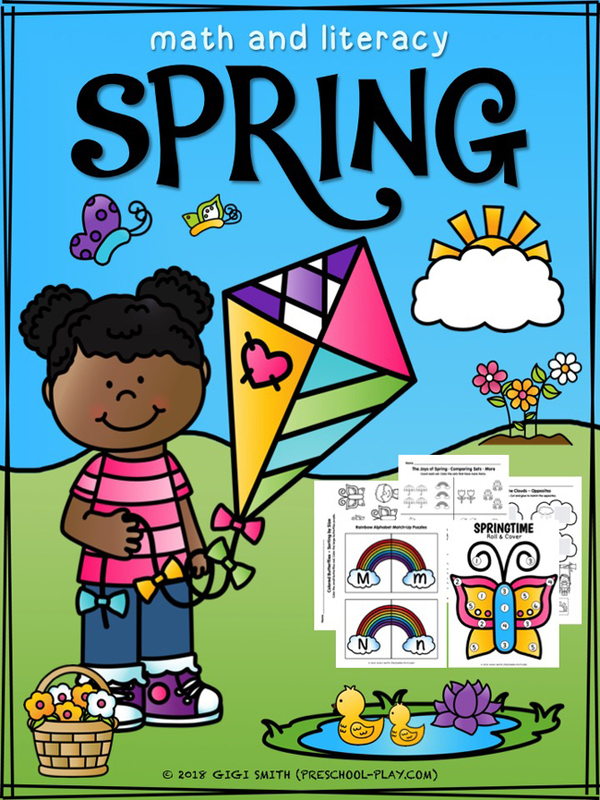 Students can then count and write the number of spring items on each page and color the pictures. 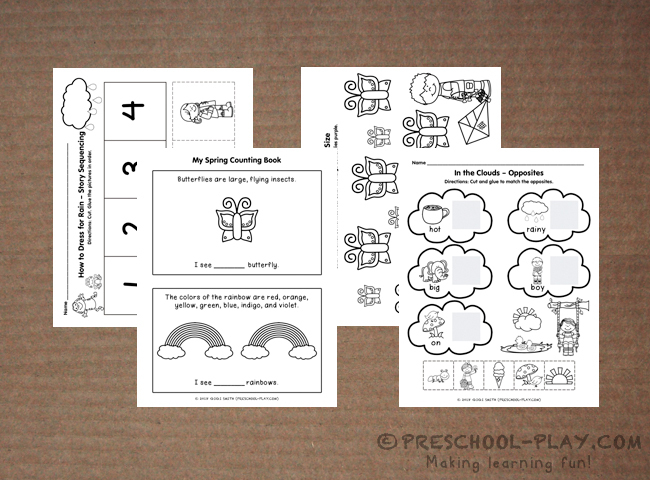 Additionally, with these worksheets learners will compare sets, color by numbers, sequence a story, identify opposites, label beginning sounds of some spring things, and so much more! 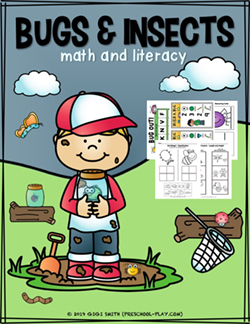 GET THIS SPRING MATH AND LITERACY ACTIVITIES PACK.